So we played with curls ( twist out) for a couple of days and reality hit us with the cold weather. I just had to put her hair in a protective style. I had no time for a fancy style and she did not want to sit in the chair for a long time as well. So I decided to do two French Braids. I know those will not last for more than a week, which is okay. 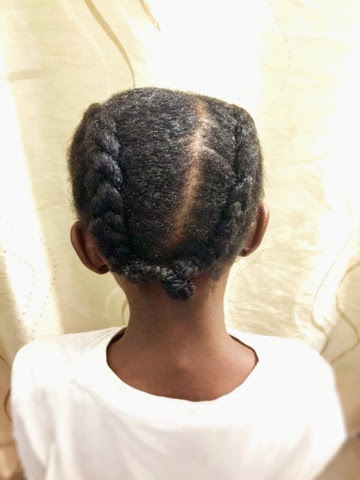 With all that exposure to the cold weather, I had to re-moisturize her hair. So I ended up styling her hair slightly damp. 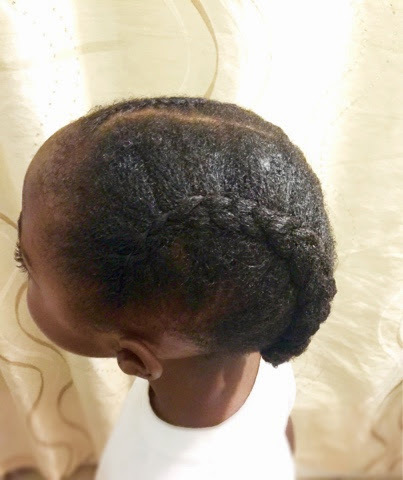 Because it was damp and she has a lot of short hair( new growth), I had to use an effective edge control paste to contain those flyaways. I used Curls Blueberry a Blissful Control Paste around her edges and areas close to the part. I would not advise to use this paste all over because it is very tacky and can make Cornrowing difficult. However, it does a great job making the edges neat and sleek. Doing this style on damp hair was not easy. It is best to do styles like these on super-stretched hair but I did not have the time for that this time around. 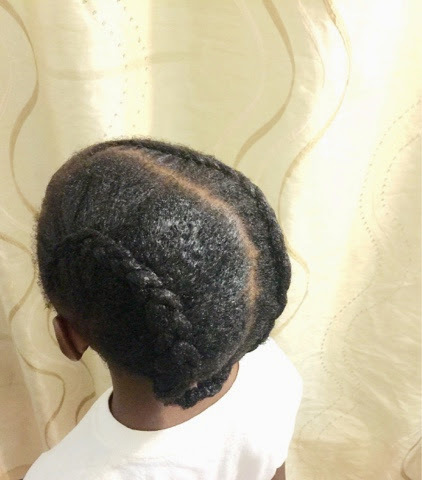 Overall, I love this quick simple protective style on the little one.